Geospatial Information Distribution and Support provides geospatial products and services to the public and other government agencies through five units. 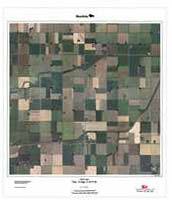 Products include mapping products throughout Canada, Aerial photography for Manitoba dating from 1928 to present day, custom mapping products, geospatial information and services through the Manitoba Land Initiative (MLI) and GIS analysis and project work. We are your one-stop shopping centre for maps across Canada. Canadamapsales.com offers a wide variety of maps to guide you as you fish, sail, paddle, hike or drive your way across this great nation of ours. Below is a description of some of the maps we carry. For a full listing of products please visit our website at Canadamapsales.com. There are over 13,000 topographic maps of Canada produced by Natural Resources Canada at the scale of 1:250,000 and 1:50,000. Topographic maps detail the physical features of the land including the lands contour lines, roads, communities, lakes, rivers etc. 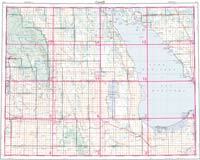 The 1:250,000 scale maps cover an 80 mile x 80 mile area and 1” = approximately 4 miles. These maps are great for planning and giving you an overview of a larger area. The 1:50,000 scale is the most detailed topographic map covering a 20 mile x 20 mile area and 1” = approximately 1 1⁄4”. These maps are very detailed and allow you to focus on specific areas with greater detail, these maps are great for all outdoor activities. Fisheries and Oceans Canada, Canadian Hydrographic Services, produces boating charts for all of Canada’s coastal waters as well as for large inland lakes and rivers including Lake Winnipeg, Lake Manitoba, the Winnipeg River System, Lake Winnipegosis and Lake of the Woods. These charts are made specifically for boating and include depth, underwater structure, markers, etc. These are perfect for boating, sailing and fishing. NavCanada produces all air navigation charts for Canada including VNC’s, VTA’s, Canada Flight Supplement (CFS), Water Aerodrome Supplement, CAP’s, HI’s and LO’s etc. These are a must for commercial, private and bush pilots. 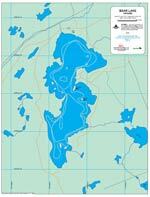 Angling maps are produced for smaller lakes within Manitoba and Ontario. These maps provide depth contours, shorelines, UTM grid (waypoints for handheld GPS units), incoming rivers/streams etc. Perfect for the angler. 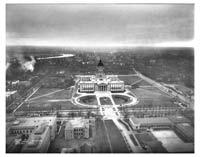 The Air Photo Library provides a wealth of information on the Manitoba landscape and how it has changed over the years. 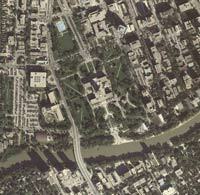 The Air Photo Library houses approximately 1,000,000 aerial photos dating from 1928 to present day. The Air Photo Library is currently being scanned to take it from a completely analogue system to a modern digital library. The unit has obtained a Vexcel Scanner which allows the scanning of photography directly from the negatives. This will allow staff to provide first generation photos to clients. 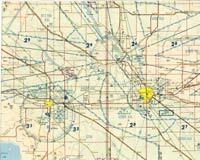 At the same time staff is working on geo-referencing analogue flight line maps in order to make searching for photos much more efficient. All photography in the library is available for purchase, to order photography or other items please contact our office and our sales representatives will assist you. The Geographic Mapping Unit produces and maintains various mapping products that are sold through the sales counter and the web site. 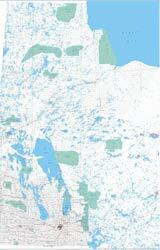 These maps include base maps (wall maps) of Manitoba, angling maps, canoe route maps, photo township maps, etc. This unit also produces custom mapping products for both the private and public sectors. This unit provides GIS analysis, support, guidance and mentoring to government branches and agencies and keeping pace with Governments adoption of GIS technology allowing the sharing of Geospatial information between departments more effective and efficient. This will assist in improved management of resources, decision making and planning. Specific project work is requested by branches within government to assist with analysis work. These projects extend to all facets of government and include core data sets, fire protection, public safety, social sciences, resource planning, emergency management etc. GIS data can be utilized on desktops in offices as well as on field web based applications. The Manitoba Land Initiative (MLI) is a cross-departmental partnership project and corporate approach to Land Information Systems and Geographic Information Systems (GIS) in the Government of Manitoba. Harmonize and share government’s land related information from different departments and make them available. Integrate and provide access to existing information in areas such as resource management, environmental impact analysis, public safety, sustainable development and to encourage investment in the province. The MLI website is the source for geo-spatial information from the Government of Manitoba and is intended for both the GIS expert and decision maker. This web site allows on-line access to the MLI corporate land data warehouse. The MLI and its database represent an important starting point for sharing of governmental land-related knowledge and information. This site is a part of an ongoing process, not a fixed or final product. GIS users and decision-makers will now guide future evolvement of this tool based upon their business needs.